There are many times that people may need a highly qualified team of professionals for their home’s door repair and installation needs. We make sure that our customers get exactly what they are looking for without any of the hidden charges that many of our competitors include in their prices. At DC Local Locksmith Experts in Washington, DC, we offer services such as door jamb repair, door frame repair, door hinge repair, a wide selection of door and lock hardware, and along with front doors we install and replace interior doors, install and repair patio doors, as well as all facets of residential doors. Our 24/7 DC residential door services are unique in that we understand that there are some customers who may need our services in the middle of the night. We make sure that we are available to them so that they can have the security and the peace of mind in knowing that their house will be secure by the end of our service call. Not only do our 24/7 DC door services give our customers peace of mind because they know that they will be taken care of properly, but they can also rest assured that they will not be overcharged for any of the services that we render. Our customers can rest assured that their front doors will be secured by the end of a service call so that they can resume their lives without having to worry about the door being faulty. It is extremely important that the entry doors of our customers homes are able to be functional and secure at all times. 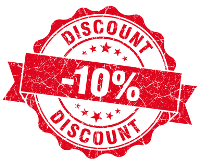 Our upfront pricing is also one of the reasons why we at DC Local Locksmith Experts experience so much repeat business in the field. 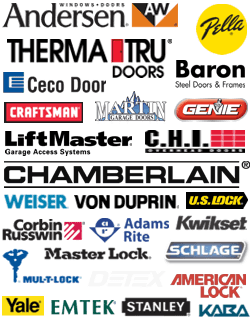 There are many options for people around the DC area when it comes to door repair and installation, but we make sure that we can offer our services at a competitive price, with the understanding that it will be done correctly the first time, and with upfront pricing so you don’t have to worry about spending too much money for the job. Many people are looking to upgrade their front doors in Washington, DC and we can do that for you. You can choose between many different styles and materials when it comes to front doors to ensure that you’re getting the right style for your home’s decor and security needs. There are many times that new homeowners want their new front door to match the style of their home. This can be in the form of a solid wooden door with brass hardware, a steel security door in a variety of colors, or French doors. 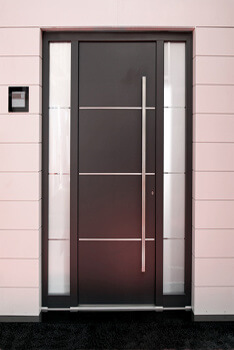 We make sure to give our customers a wide selection of doors so that they can choose what will fit their home the best. We also offer a wide selection of hardware, knobs, and other accessories in brass, nickel, or other finishes to cater to your needs. We aim to please when it comes to giving our customers aesthetically pleasing and pragmatic options to fit their tastes, budgets, and security needs. Front Doors Installation and Repair https://dclocallocksmith.com/front-doors-dc/ 4.1/5 based upon 34 reviews.